It was briefly mentioned in today's "iWatch" story that Apple SVP of Industrial Design Jony Ive ordered "boxes of a sports watch" made by Nike, though the exact purpose of the request was not revealed. One of the Nike watch designs Apple's design team reportedly studied. Scott Wilson, the former Nike creative director who sent Ive the watches, told Business Insider in an email that he thought the order was for personal use by Apple employees. "We just gave them to them as designer bro deals," Wilson said. "He and others in the design group just requested them and we sent them a ton of Nike Presto Digital Bracelets and the aluminum Oregon Series Alti-Compass watches." 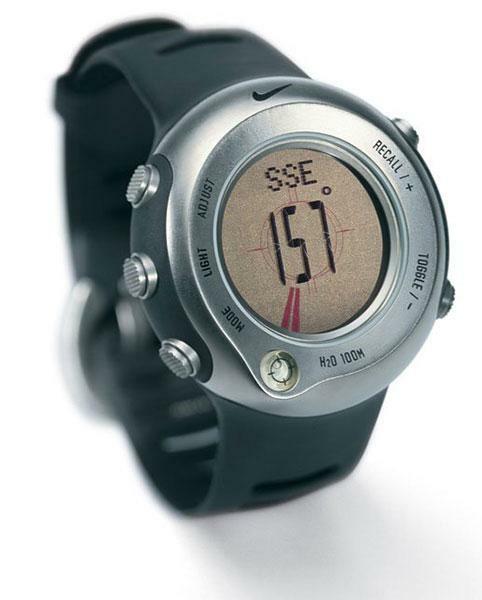 The Nike watches in question were models from the company's 2002-2004 lineup. It was only until one of Apple's design team members reached out with questions about the watch materials and processes that Wilson realized the company was in fact conducting research. "This meshes up with their research in watch manufacturing during that timeframe which has been documented in previous stories," Wilson said. "They definitely drew upon watch industry techniques and manufacturing in their products since the first iPhone. Interesting that it may come full circle to an actual iWatch at some point." The fact that the Cupertino company was conducting an investigation into watch design is intriguing, though the research doesn't necessarily signal a planned move into the sector. Designers often study designs from one industry and apply their findings to products in a totally different market. The news comes as rumors heat up regarding a so-called "iWatch" accessory that could materialize as soon as this year.